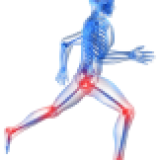 Editor's note: This article first appeared on AAPA.org as part of a series commemorating the 50th anniversary of the PA profession. Before he retired, Rear Admiral Michael Milner was one of the highest-ranking federal service PAs in the country. In addition to serving as chief health services officer in the United States Public Health Service, he also served as assistant U.S. Surgeon General and as regional health administrator for the six New England states. He led public health efforts during three Florida hurricanes in 2004 and helped get the New Orleans health system up and running after hurricanes Katrina and Rita. Milner, a former president of the AAPA Veterans Caucus, is an example of PA military success in a profession that began with veterans with vast medical experience. He credits the profession's military roots with shaping his own journey as a PA. "I still feel the connection to those first PAs and the combat medics and corpsmen of the Vietnam era," said Milner, who began his career in the Air Force, then transferred to the U.S. Public Health Service Commissioned Corps in 1989. "They made a mark on me and I silently thank them every day for helping me become a PA."
The four former Navy corpsmen who were the first PA students at Duke University certainly never knew how their decision to take a chance on this new career would impact the thousands who would follow in their footsteps. But Duke's Eugene Stead Jr., MD, saw the value in their military medical training, and knew it could help alleviate the primary care shortage. 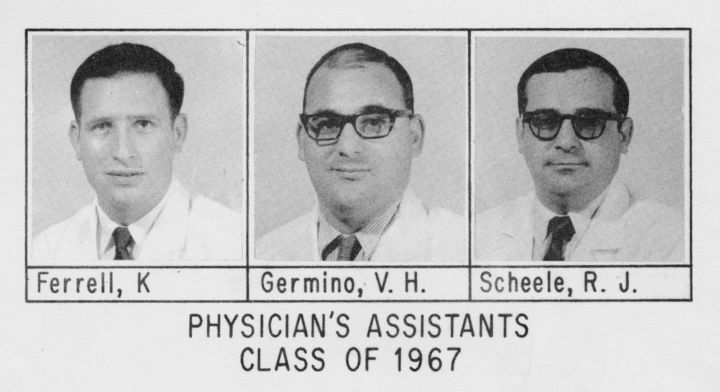 And so, in 1965, Vic Germino, Ken Ferrell, Richard Scheele and Don Guffey (who later dropped out), began their training as the first PA students. Ferrell, who at 21 was the youngest student, left active duty in the Navy a month early in order to begin PA school. Right around that same time, many of his fellow sailors were being sent to Vietnam. "I might not be here today if I hadn't been in that first PA class," he noted. Ferrell was intrigued by the prospect of receiving an education to support his hands-on experience. "I felt like I didn't have anything to lose," Ferrell said. "It was getting time for me to get out of the Navy, and I had no idea what I was going to do or where I was going to work. 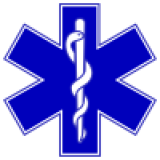 "In the 1960s, it was common for military medics or corpsmen to return from years of combat medical experience, only to be rejected by the civilian health sector. According to Ann Suter Ford's 1975 book "The Physician's Assistant: A National and Local Analysis," only about a third of the 30,000 medics who were discharged annually from the service around 1970 found their way into civilian health employment positions. "It was looked at as about all that we were good for was to be an orderly or something like that," said Germino, who was working in surgery and the OR at Duke when he was selected for the PA program. "That's where Dr. Stead, seeing beyond that in all the training that we had, made me feel good about what he was trying to do." According to Germino, Stead treated his PA students a lot like medical residents, taking them on rounds and even allowing them to see patients within the first few months of their didactic training. The intense training paid off. "Toward the end of the first year we took our medical skill test just like the Duke medical students, and we scored just as high as they did," Germino said. "Working up a patient in a hospital and doing some basic lab work was probably easier for us than it was for the medical students because we had already seen so many patients in the military," said Ferrell, who had cared for fellow sailors on his Navy ship without the support of a physician. "I think they were surprised that so many of the tasks that had previously only been done by the physician or medical student could be done by someone with less time in the classroom." Germino noted that soon after the PA program began, Duke changed its medical school curriculum to begin clinical training sooner. 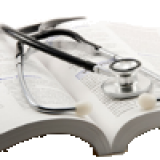 Editor's Note: In the early days of the profession, "physician's assistants" was an acceptable way to refer to PAs. Germino, Ferrell, and Scheele graduated from the Duke PA program on October 6, 1967. All three went to work at Duke after graduation. Germino, who was the first PA in the Coast Guard, later ended up serving 10 years in the Coast Guard as a PA, including three years in Alaska doing helicopter search and rescue operations. Ferrell remained at Duke, working in clinical practice for an allergist, then as a coding expert. Tragically, Scheele died in 1970 at the age of 31, just three years after graduating from the Duke program. Before his death he was able to help establish AAPA. Editor's Note: Victor Hugo Germino, one of the Navy hospital corpsmen Eugene A. Stead Jr., MD, chose to be a member of the first class of PA students at Duke, a founding member of AAPA, and the first PA commissioned to service in the U.S. Coast Guard, passed away March 1, 2017, at the age of 78. Please see the AAPA news release here, and the Military Roots of the MEDEX PA program. Two years after Duke graduated the first three PAs, Richard Smith, MD, launched the MEDEX, or Medicine Extension, program at the University of Washington with 15 former military corpsmen and medics as a way to lighten the workload of rural primary care physicians in the Northwest. According to Gino Gianola, a graduate of the eighth MEDEX class and lecturer in the MEDEX Northwest PA program, the first class was made up of mostly special forces veterans who could successfully promote the profession to the public. Gianola had heard about the profession while he was serving in Vietnam as an Army clinical specialist. When he came back to the U.S. two years later, he found it hard to find a civilian job with his military training. He went to work as an orderly at a children's orthopaedic hospital and later took the Washington state exam to become an LPN. But it was this new PA profession that really intrigued him. He was admitted into the 4th MEDEX class, but was asked to leave after a disagreement with Smith about PA placement in inner cities. Gianola returned to MEDEX a few years later, graduating from its eighth class and returning as faculty. Shortly after graduation he worked with psychiatrist and Navy veteran Jim McDermott, then a Washington state legislator and now a U.S. congressman. "He knew what corpsmen and medics could do, and thought [the PA profession] was a very good use of that experience," Gianola said. He helped sponsor the legislation [for PAs to practice in Washington.]" ​Editor's Note: Dr Richard Smith, founder of the MEDEX Program, passed away at his home in Hawaii on March 10. He was 84. Please see the AAPA news release here, and the obituary here. But even as PAs were making progress in the civilian world, they were facing roadblocks gaining rank in the military. PA Gene Jones, PhD, PA program director at the University of Texas Southwestern Medical Center in Dallas, remembers the battles he and others faced during his early days as a Navy PA in the mid-1970s. "We were in an in-between category of not being enlisted yet not fully commissioned as officers, and we started off as PAs at the bottom rank designation of W-1. Now that was an interesting uniform," said Jones, who reached the rank of W-4 and served as PA specialty advisor to the Navy Surgeon General. "Vice Admiral James A. Zimble asked me to continue to be patient about full commissioning for Navy PAs in the Medical Service Corps and I responded that we could wait no longer. A number of us were eligible to retire and soon chose to do so. 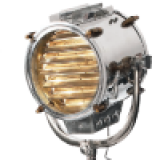 A few months later the commissioning was authorized." That was in 1989. 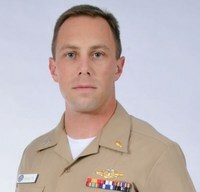 Jones was offered the option of returning to active duty status as a lieutenant with time-in-grade toward lieutenant commander, but declined because he was enrolled in a PhD program at the time. In 1992, Army and Coast Guard PAs were commissioned. Air Force PAs were the first to be commissioned in 1978. It's hard for some of the first PAs to imagine the freedom that PAs in the military enjoy today. "It's amazing to see what is out there now for PAs to do," Germino said. "There's one that's in charge of a medical brigade. I would have given anything to have done that." He's referring to Col. Michael Robertson, U.S. Army, PA-C, the first PA to command a medical brigade, where he was in charge of active duty, reserve and National Guard units for the Pacific theater. "I was really humbled when they picked me up for another command," Robertson said. "Because besides being a first for a PA, it was also a first for an Army medical specialist corps officer." Robertson said. PAs from all branches of military are trained at the Interservice PA Program at Fort Sam Houston in Texas. Graduates receive a master of PA studies degree from the University of Nebraska. Former IPAP Director Col. William Tozier, U.S. Army, PA-C, said Robertson and Col. John Balser, U.S. Army, PA-C, who was recently became the first PA named Chief of the Army Specialist Corps (AMSC), have set an important precedent for PAs in the military. "When I came into the Army, PAs thought of themselves only as clinicians, said Tozier. "In turn, this reflected how PAs were viewed by others. These two PAs have shattered these old, constraining views and added a whole new dimension to how PAs are respected by the military." Tozier is presently assigned to the AMSC's Clinical Services Division, as an allied health officer in health services and policy. He is also the PA consultant to the Surgeon General and AMSC's assistant chief for PAs. Robertson, who joined the Army in 1972, noted that the Iraq and Afghanistan wars created an even greater demand for PAs in the military. "These wars changed things for PAs," he said. "When the wars came around, the Army decided that they needed to keep experienced PAs." He did what he could to make sure that happened. "One of the things I accomplished while I was a consultant was bonus pay for PAs—31 thousand dollars a year—which keeps a lot more of them in the Army now." More than 10,000 PAs in the U.S. workforce are veterans, active duty, or retired military, or in the National Guard or Reserves—comprising approximately 11 percent of the nation's more than 115,500 PAs. But 50 years after the profession began with three former Navy corpsmen, there are still challenges when it comes to training veterans to become PAs. For one thing, most civilian PA programs require a bachelor's degree as a prerequisite for entrance into a program. And, as Robertson notes, "It's hard to meet the prerequisites when you're deployed every other year." "Service members tend to have lower academic backgrounds and qualifications," said Tozier, who served two years in Iraq with the Army's Third Medical Command. "Our [IPAP] program has tailored its program of instruction to meet the unique qualifications of our applicant pool. It is difficult to say how they would fare in the admissions process of many civilian programs. Yet our graduates continually score in the top fourth of the PANCE." The IPAP program is the largest PA program in the country, graduating upwards of 230 students a year. Tozier believes civilian programs should do more to recruit veterans. "I would like to see more medics and corpsmen with medical experience get into [civilian] PA programs," he said. "This group of individuals should get the support necessary to assist them in further contributing to our national health care needs. "According to Gianola, less than seven percent of most PA graduating classes are made up of veterans. He said most MEDEX classes have a 30 percent veteran population. "These folks go out and sacrifice their time and sometimes their limbs and life, and I think there's some societal responsibility to use that skill set that taxpayers pay for and make it available to the general public," he added. Gianola suggests having a bridge program for veterans who are attending community college that helps them get the credits they need, and then transition to a nearby university's PA program. Some of the first PAs see military recruitment within civilian programs as a natural extension of the profession's roots. "It would be prudent and ethical for us to get back to our beginnings," said Ferrell.